There's nothing like waiting until the last minute to get a card made and challenges entered. I'm not usually a procrastinator and I really can't say that's what happened here. I've just got a lot going on and haven't had a lot of time to spend in my craft room. When looking for my silver paper, it suddenly occurred to me that I didn't have any. I'd used up the last of it on another project quite some time ago and it never made it to my shopping list. So, I had to improvise. 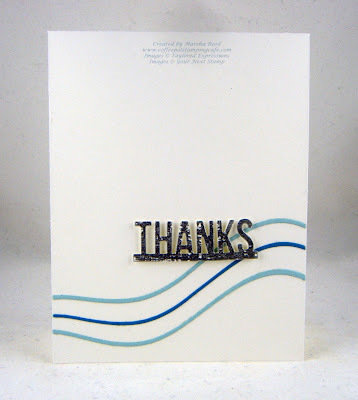 I stamped the background image from the You've Got This stamp set using VersaMark and heat embossed it using Silver Embossing Powder then, cut it out. It's not completely filled in as that background is not a solid one. I rather like the way it looks with just a wee bit of white peeking through. 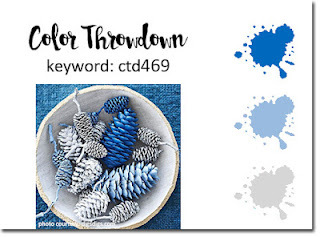 The colors I used are from the Color Throwdown Challenge. The colors are blue, light blue and silver. Fun colors for me as blue is my favorite color and silver has always been my preference. For all the challenge details and to share your project, click the image below. Wonderful card! Great CAS style. Love those swooshes! Thanks for playing along with us at CC&S! Great use of the sketch and colors!! 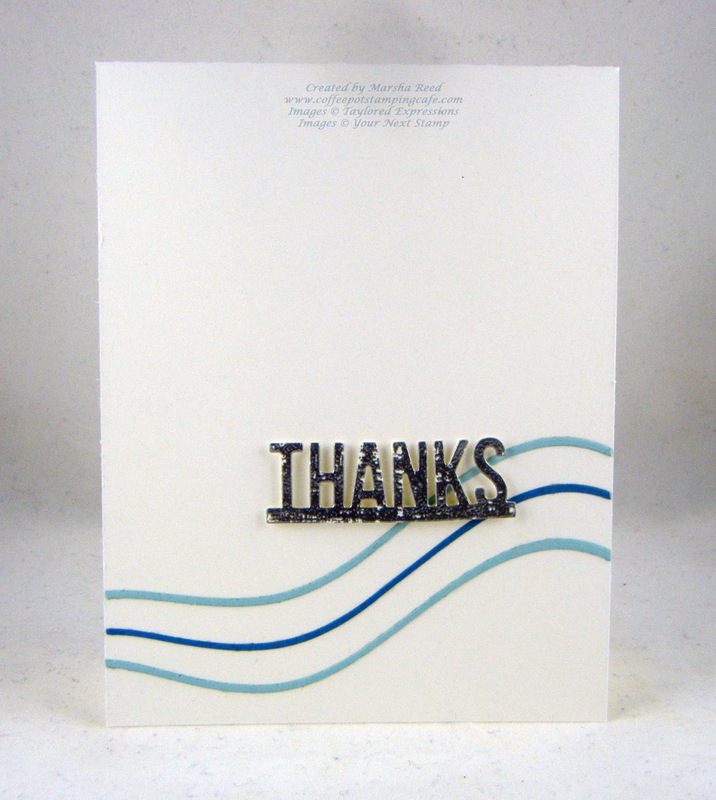 So happy you joined us at CTD!! What a great CAS design, Marsha!! Thanks so much for sharing with us at the Color Throwdown! This turned out great, thanks for playing along with us at CC&S.